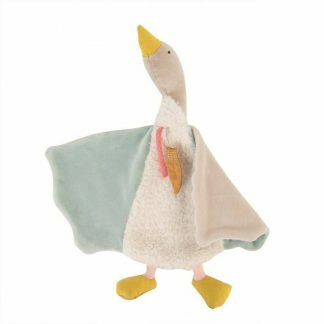 Olga’s Travel is a lovely nursery range based upon Olga the wild goose and her journey to discover the world with her little ones, Bambou, Plumette and Flechette. Along the way she encounters Chaussette the fox, Petite Chaussette the little fox, Josephine the blue whale and two small mice, Pablo and Lisette. 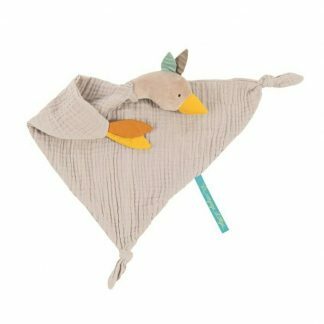 Now your little ones can join their adventure with soft toys, comforters and wooden toys all available in this delightful collection. 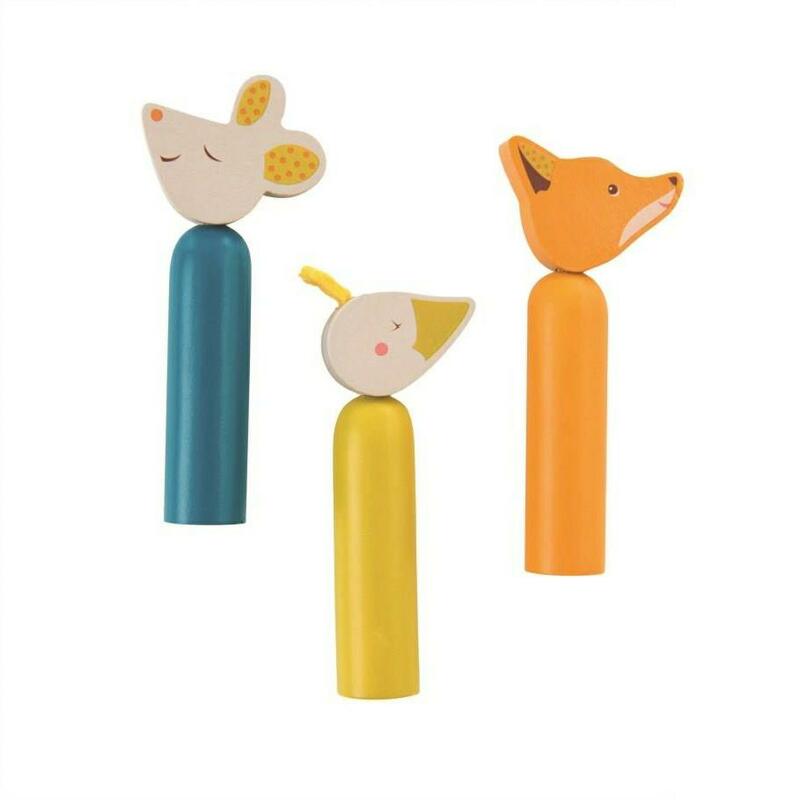 There’s lots of fun to be had with this wooden pop up toy. 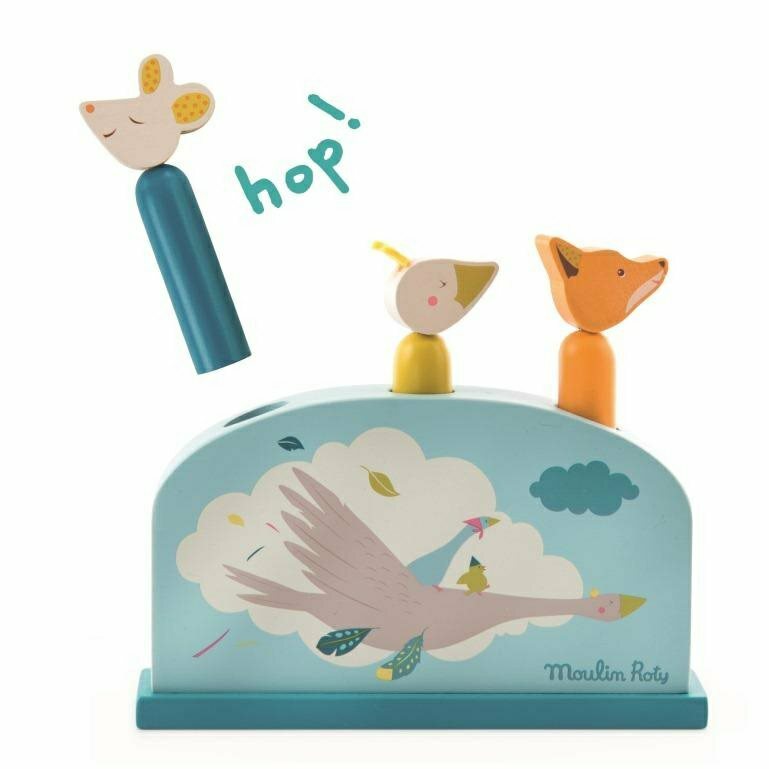 Included in this toy is a beautifully illustrated base featuring Olga the goose and a pop up mouse, fox and goose ready to play. Simply push down these animals and watch as they bounce back up. 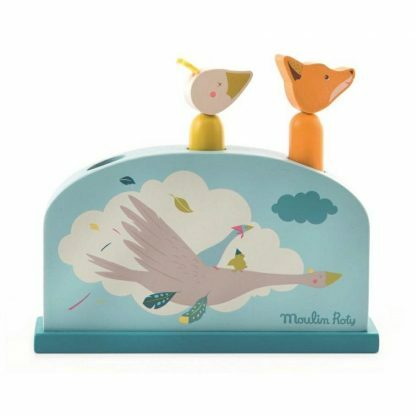 This Moulin Roty pop up toy is perfect to encourage fine motor skills and is suitable from 12 months. 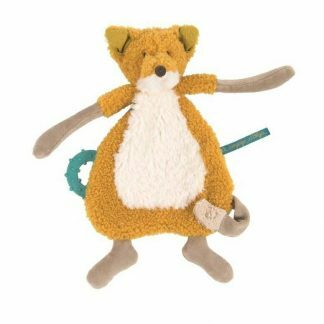 Approx 17 cm x 15cm.